I hadn't delved into MAC blushes until the start of this year, since then I have added four blushes from MAC to my collection and I think they make the perfect 'capsule' collection (if you will) of colours. I cover the bases of matte, shimmery, lighter and darker shades in only four colours and each one I absolutely love. 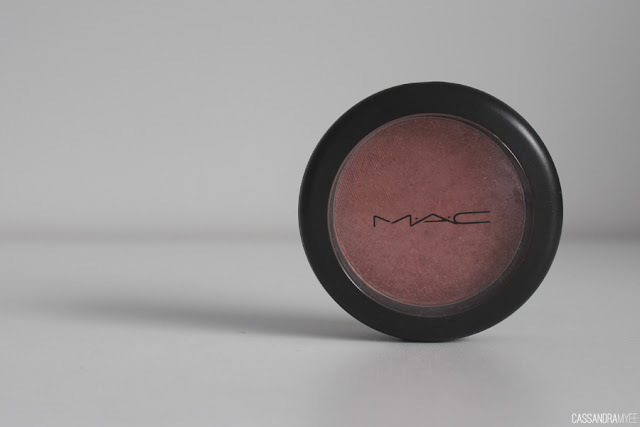 MAC blushes are of high quality with great pigmentation, colour range and easy to blend. My favourite brush to use with any blusher is the Real Techniques Blush Brush, which I swear by and suggest you get your hands on it ASAP, if you don't own it already! Not only does this blush look incredible, the colour pay off and quality is just as good! 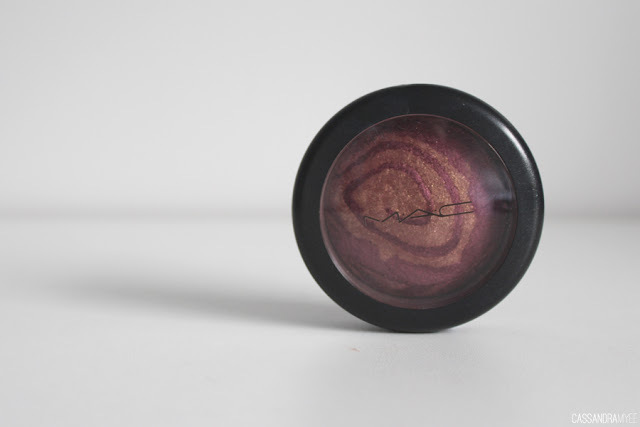 As with all of these MAC blushes the pigmentation and quality is so high and for the money you pay for them, you would hope that would be the case. This is definitely an Autumn/Winter blush - it is a dark cranberry, swirled with gold and is quite quite shimmery in the pan, but just leaves a nice glow when applied to the cheeks. 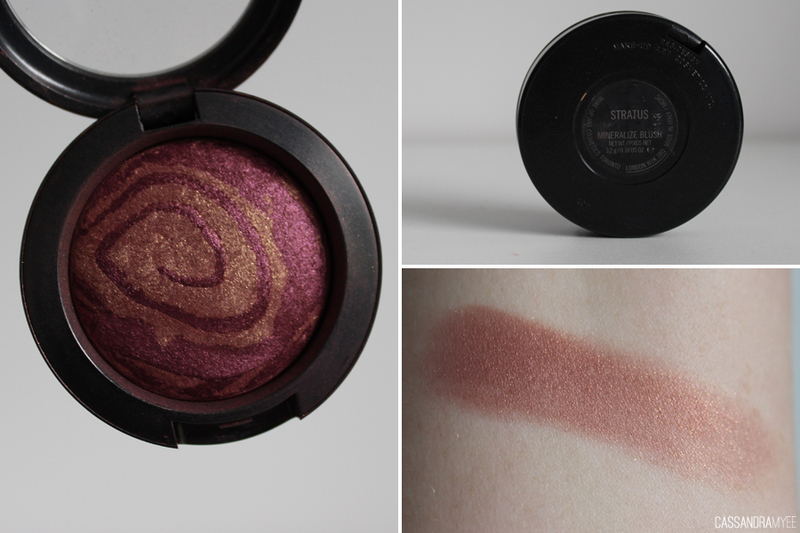 When swirled together you are left with a coppery/gold blush with a shimmery sheen. 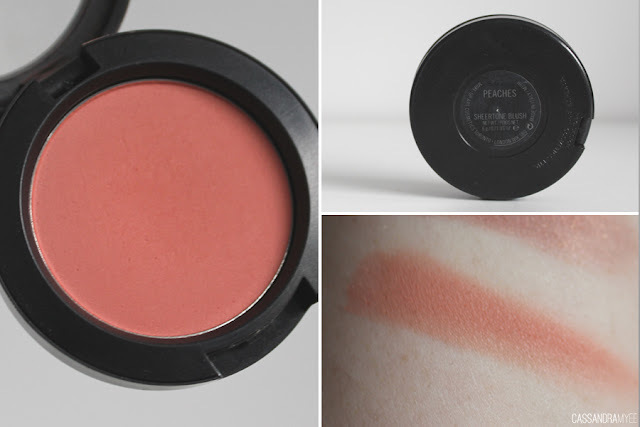 Peaches has got to be one of my all time favourite blushes. I love the light coral shade and being a sheertone means that it can be built up to the desired amount; as little or as much as you would like. It is a matte shade so super easy to wear on an everyday basis. A great one for Spring/Summer. Trixie verges on a highlighter slightly as it is quite shimmery - not obviously glittery but just creates a glow to the face. 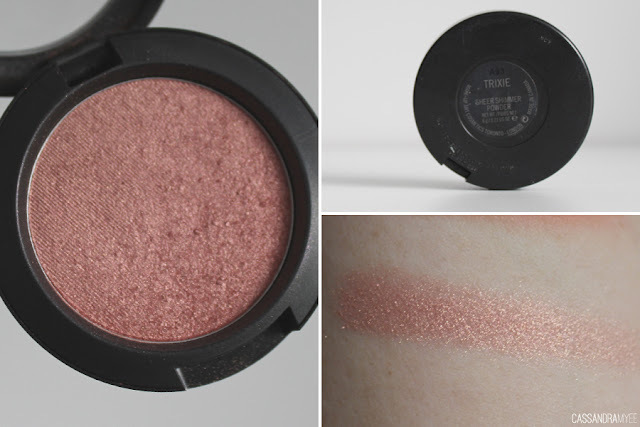 It is a dusty pink colour and in some lights looks pink and in others has a slight golden sheen to it which makes it a great blush/highlighter hybrid. Sakura is another of those blushes that aesthetically looks amazing with a cute pink heart surround by lilac. 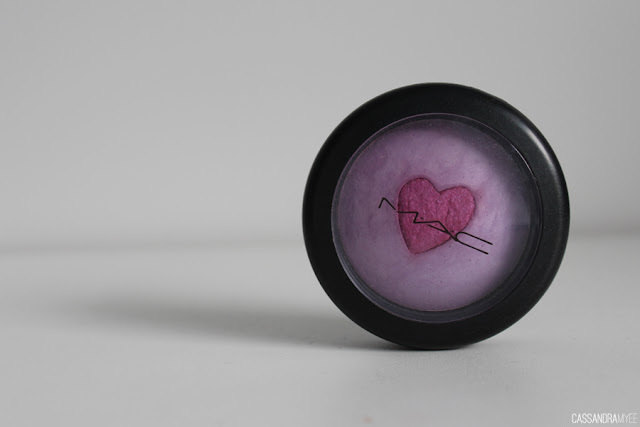 The outer lilac part is quite matte, where as the inner heart has a shimmer sheen to it. 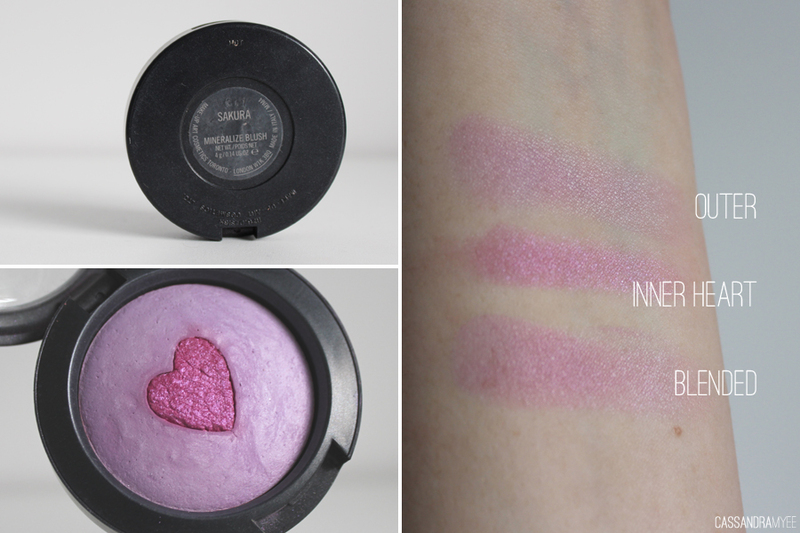 When blended together it gives just the right amount of shimmer and a lovely lavender/pink shade. Again the pigmentation is great and these are super blendable and easy to work with. 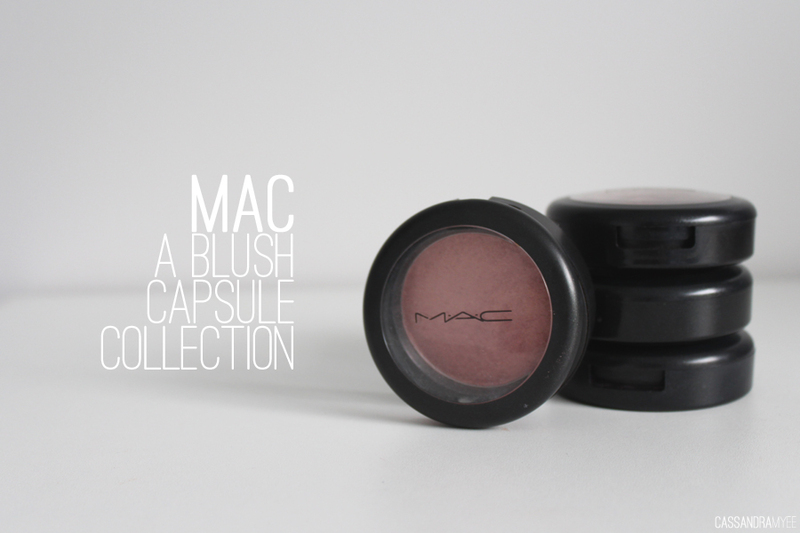 So that is my small but just right for me MAC blush collection. I love that I own a variety of shades perfect for any occasion and season. 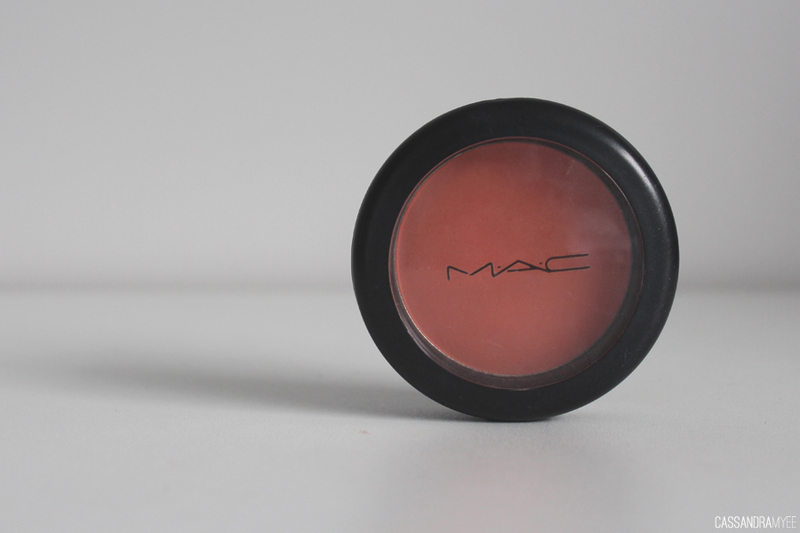 I'd love to know your must have MAC blush, so let me know in the comments.